Whether you’re looking for the volleyball nets for the garden/backyard or a leisure sports facility, our Regulation volleyball net is sure to be a great companion for recreational play. Designed with your convenience in mind, its over-locking edge ensures that the net fits on to any variety of volleyball post. The simple fitting volleyball net allows you to spend less time attaching it and more time working on your hitting percentage. 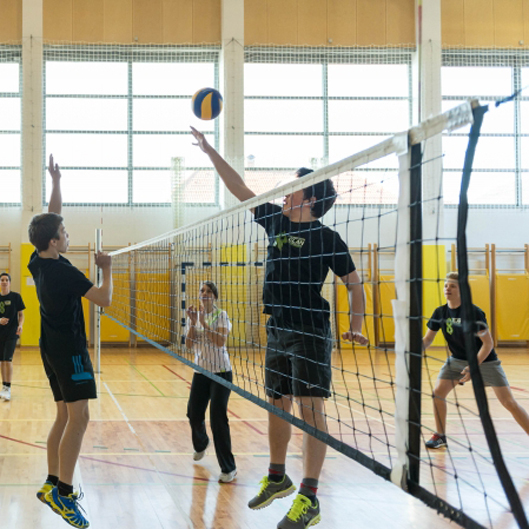 For recreational players, look no further than this fantastic regulation volleyball net. This top volleyball net is built to last for countless fun volleyball sessions; the authentic style banding & twine are sure to last through tough ball impacts and adverse weather conditions. If you require an indoor volleyball net, or an outdoor net, look no further – the regulation volleyball net is suitable for indoor and outdoor use. 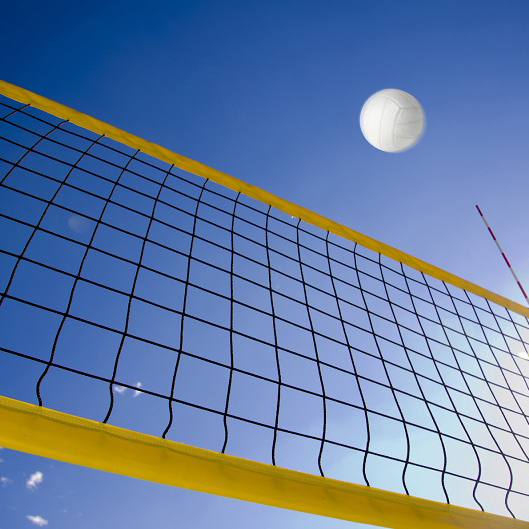 For anyone wanting to partake in some fast-paced volleyball action, a top quality volleyball net is an essential piece of equipment. Durable and convenient, this volleyball net is a cracking choice. Bring a volleyball and your very best spiking skills and invite your friends around for some high-flying fun or treat you club or centre to a brand new net and play like a pro!